Originally conceived in Kalamazoo, Michigan in 2003, the Out of Favor Boys have evolved into a blues staple in Southwest Michigan. The first Out of Favor Boys shows were at O’Duffy’s Pub, in the heart of Kalamazoo’s student ghetto, featuring Danny Ouellette, Joel Krauss and Tony Sproul. 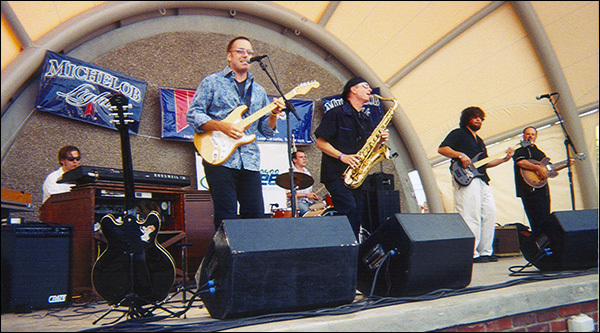 In the summer of 2003, the trio added a rhythm section, Tim Brouhard and Kevin Dorcy, and an organist, John Ford. Latethat year, the Out of Favor Boys won the KVBA blues challenge, winning the right to represent Kalamazoo at the 2004 International Blues Challenge in Memphis, TN. The following spring the band recorded a debut EP, Halo (2004). Following the release of their second self-produced CD (Can’t Be Good) in 2006, John Ford left the band. Shortly thereafter, Kevin Dorcy moved to Chicago and Mike Porter stepped in to fill the void behind the drum kit. In 2010 the band released a live double-album CD that was recorded at Kalamazoo’s 411 Club, where OFB served as the house band. 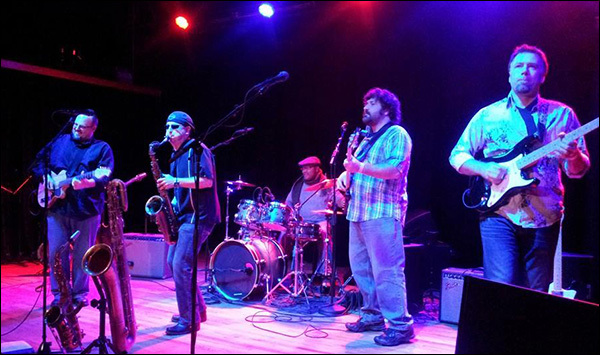 From its very beginning until the fall of 2014, OFB hosted a number of blues jams in and around Kalamazoo, including Wonderful’s Funky Basement, Boomerang’s, the Lamplighter, and the 411Club. For much of the band’s time as house band at the 411 Club, Tim Miller was the band’s Thursday night drummer. In the spring of 2015, more than 11 years since the band’s inception, the Out of Favor Boys are going stronger than ever! Tommy Ufkes has taken over as drummer, and the band is writing and recording new music and exploring new musical venues. Keep an eye on our event calendar, and follow OFB on Facebook and Twitter to find out when we’re playing near you. The band has had released five self-produced CDs and has begun working on songs for their sixth.